On August 25, 2013, Vidisco launched its brand new Spanish language website with a fresh new look and a new user-friendly interface. 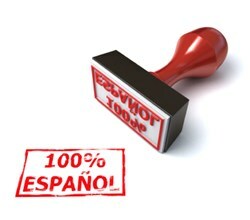 We believe there is huge potential in the Spanish speaking market and want to cater to its needs. Vidisco Ltd. is proud to announce the launch of its new website in Spanish. In an effort to cater to the growing demand for Vidisco’s portable Digital Radiography X-ray systems in many Spanish speaking countries and to improve customer service in these regions, Vidisco created an even friendlier, more in-depth Spanish interface. As Vidisco products are found in over 75 countries around the world, the Spanish website will enable a larger audience to become familiar with the innovative digital X-ray equipment the company offers. Vidisco’s cutting-edge, lightweight digital X-ray systems are offered for the NDT, Security and Veterinary fields and are used for a great range of inspections. In the NDT field, Vidisco’s portable digital radiography systems are used for pipe inspections in the oil and gas industry, in the shipyard and aerospace industries it is used for weld inspection and it is even used for examinations of artwork and archeological artifacts. In the Security field, the portable X-ray systems are used for a variety of applications including border control, customs, bomb detection and disposal, VIP protection, forensics fire investigation and more.